Ski trips are an excellent way to enjoy an active holiday. Most destination ski resorts have amazing amenities and a lift systems to maximize the amount of skiing and snowboarding one can do during their vacation. Ski resorts often come with the caveat of crowds, line ups and competition for who can ski all the powder first. However, there is an alternative for the skier or snowboarder who values quality over quantity, and it comes in the form of a helicopter access ski vacation. What does “helicopter accessed” mean? Helicopter accessed is very different from the more familer, heliskiing. On a helicopter accessed trip you’re flown in and out of a desitination where you stay for a set period of time. Once you’re at your destination e.g. the Mallard Mountain Lodge, you’re free to explore far and wide by human-powderd means, mostly ski touring, snowboaring touring/splitboarding, snowshoeing in winter, or hiking in the summer. The helicopter does not assist you on your assent to the top, making for a quieter, more peaceful wilderness experience. Chairlifts and gondolas are great for getting people into the mountains, but it’s in the backcountry – beyond the boundaries of resorts – where you really start to appreciate the grandness of places such as the Canadian Rockies. Getting to the top of the slope with ski touring or splitboarding equipment takes more effort, but the reward of arcing turns down an untracked run is intangible. Around you are dozens of peaks and glaciers rarely seen by other human beings. That’s something worth taking photos of to remember. The only heli, or engine of any kind, that you’ll hear or see is on transfer days when food, supplies and you are flown in and out of the lodge. For the rest of the week, every turn on snow is earned. Every moment private and every run yours to savour. Most of this area has never been skied so if you’re looking for a first descent, we’ve got some spots to show you. There is an awakening and energising feeling that comes with taking a deep breath, looking over your shoulder, and knowing you’re free to roam in any direction you choose. Although don’t wander too far, you certainly want to make it back in time for the delicious salmon BBQ! While you may be resting your head a few dozen kilometres from the nearest point of civilization, a helicopter access ski vacation lets you enjoy the wilderness without having to rough it. A wooden stove burns to keep the entire lodge warm all night and your hosts can be on hand to prepare all meals, giving you time to relax and unwind after a big day of ski touring. When lodge operators can fly everything in from fresh fruit and vegetables to bottles of wine and comfortable bedding, it’s hard to complain about being stuck in the middle of nowhere. The Mallard Mountain Lodge even has a shower, WiFi and charging stations for those who need to stay connected. 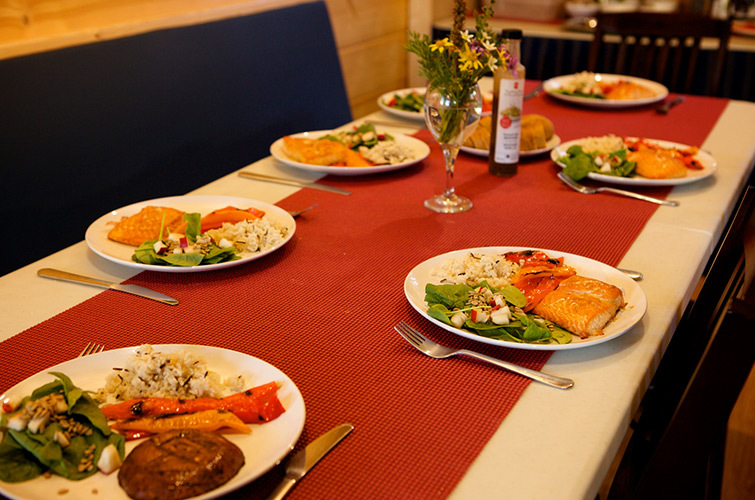 Some remote lodges in BC have a fixed product when it comes to guiding and catering, but here at Canadian Adventure Company we like to give people options. Have the skills to ski the terrain but lack the will to cook in the morning and evenings? We can do all the meal preparation for you. Want to go self-catered but require a guide to safely get through the week? We can organize a guide or you can hire your own. We’re also happy to have groups handle all their own food and guiding or sign up for our all-inclusive package. One of the best parts of a helicopter access ski vacation is the intimacy. Backcountry lodges in BC have a relatively small capacity compared to those of Europe, offering a unique experience with friends and other groups. The Mallard Mountain Lodge is one of the most private hosting just 8 guests at a time. Smaller groups also tend to ski more, allowing you to make the most of your backcountry trip. It’s also less mouths to feed when it’s your turn to cook. Riding in a helicopter is an experience in itself, one that many people remember for the rest of their lives. It’s also an expensive endeavour, which is why heliskiing lodges charge thousands of dollars for a few days of powder skiing. 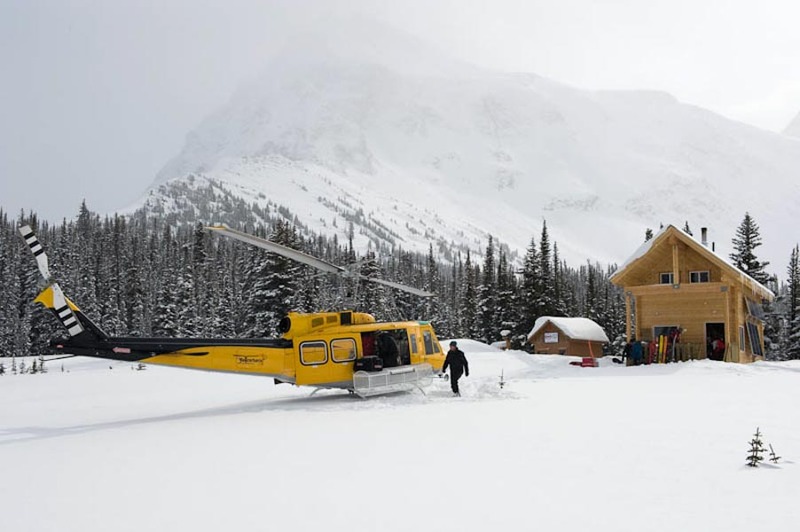 Remote lodges such as the Mallard Mountain Lodge in BC strike a balance between heliskiing and human-powered ski touring by utilizing the helicopter solely for access at the start of the trip and exit at the end of the trip. All of this comes at a fraction of the price of cat and heliski lodges. True, you do have to work hard for your turns during your stay, but you’ll leave not only with tales of powder skiing but also a plethora of the moments described above. 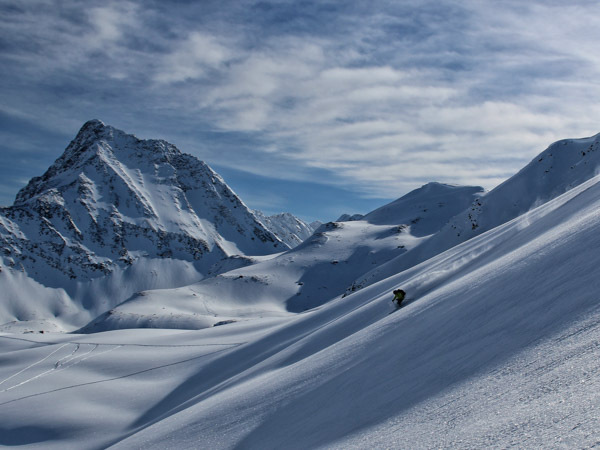 Powder is most plentiful in the backcountry, but if you’re new to ski touring don’t worry. Join us for our AT 101 introduction to alpine ski or snowboard touring program where you’ll learn and explore safely with a professional ACMG guide. 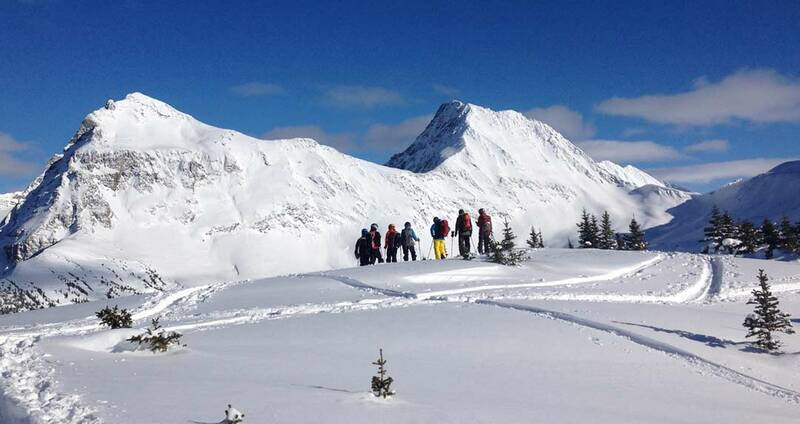 Are you ready to experience your first helicopter access ski vacation in BC? Or have some queries? Email us or, better yet, call, we’d be delighted to help answer any questions.